Newspaper stories about public higher education read like obituaries. No one is to blame, but there are plenty of victims. The University of Kentucky is eliminating more than 300 jobs. The University of Washington is raising tuition by double digits for the fourth year in a row. The University of California saw its state allocation reduced by $750 million in the past year alone. The grand bargain — which for decades upon decades said that state governments will fund the operations of public colleges and universities — is irrevocably broken. Reductions in state funding for higher education that began 20 years ago have been accelerating. The Great Recession has taken an enormous toll on state governments, which must balance their budgets. Support for public colleges and universities, like every other discretionary expenditure, is being carved off. 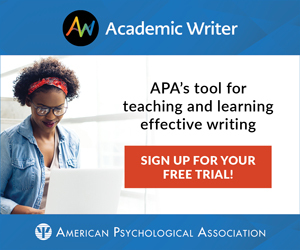 And these reductions have a significant negative effect on academic units, such as psychology departments, that make major contributions to our public institutions. Meanwhile, we are entering a 21st century in which the promise and progress of American society depends now more than ever on the innovative research and educational opportunities created at our public universities. Just when our states and our nation most need a fresh generation of educated, ingenious, spirited, and entrepreneurial young people, we risk denying them access to a high-quality college degree. What is to be done about it? For those of us in higher education, the time for pleading, hand-wringing, and blindly following the old playbook is over. We must think boldly about new ways to finance our institutions. We must take charge and lead the way in developing solutions. The Ohio State University, which I have been privileged to lead for the past five years (as well as from 1990 to 1997), is deeply fortunate to have strong bipartisan support from our elected leaders. Even still, they had to make difficult decisions to balance the state’s $8 billion deficit. The university — while treated much better than most peers around the country — has not been spared from state budget reductions. Yet, construction cranes dot the campus, faculty and staff receive salary increases instead of furlough notices, and tuition increases — while never desirable — are modest. Neither luck nor alchemy gets the credit. Since I returned to Ohio State in 2007, our campus leaders have worked together in a unique partnership to forge an integrated strategic plan that incorporates academic, physical, and financial planning. Our chief financial officer works shoulder-to-shoulder with our academic provost to ensure that, in all we do, educational programs are paramount. Even before the recession struck, it was evident that expanding our funding streams would protect our academic core as nothing else possibly could. The days of being isolated and arrogant, of holding out our hands palm-up and expecting taxpayers to fill them with money, were fast coming to an end. In developing new financing strategies to fund academic excellence, we have taken a deliberately broad approach. A few examples from the past several months illustrate the point. In June, after extensive discussions with faculty, staff, and students, our Board of Trustees approved a vendor’s offer of $483 million to manage campus parking operations. We will put this $483 million directly into our endowment, growing the total investment pool by more than 20 percent in a single day. Earnings will be earmarked for student financial aid and scholarships, faculty hiring and support, campus bus services, and a new arts district. At the end of the 50-year contract — assuming an average annual return and spending half of the projected earnings income — the original $483 million investment will have added $4.9 billion to the endowment, plus some $3.1 billion in direct support to faculty and students. Some have said that by moving toward such an arrangement, we are selling our souls and becoming Ohio State, Inc. Quite the opposite. The nobility of public higher education lies in people, not parking. Our founding mission is to extend educational opportunity beyond the wealthy and well-connected, to nurture ideas and build commerce, and to ensure that democracy could thrive. Those principles endure today, and they demand that we find creative and courageous solutions not merely to survive, but to flourish. Leasing the management of our parking operations is just one component of a comprehensive strategy to expand support for students, faculty, and programmatic excellence by generating new funding. Other strategies include aggressively pursuing private giving. Our alumni and friends are generously responding to the call, and we are well on our way toward a $2.5 billion fund-raising target. Support also comes from expanding collaborations with business and industry. In February, we announced a $25 million affinity arrangement in which Ohio-based Huntington Bank became the University’s official consumer bank. Funds are being used for student scholarships and financial aid, classroom improvements and technology, and career services. Additional elements of the partnership include loans for economic development in the area adjacent to campus, student internships, and future revenue-sharing, which would provide even more money for core academic uses. In addition, we are finding ways to use the whipsaw of an uncertain market to our lasting advantage. Last October, Ohio State was the first public university in the country to issue a century bond. Demand was even more robust than we had imagined, and the planned-for $300 million offer became a $500 million transaction. Proceeds fuel our construction projects, including the billion-dollar expansion of our Wexner Medical Center. To be sure, these financial approaches are not universally beloved on my campus. In the best tradition of academic shared governance, debate — particularly about the potential parking-lease — has been vigorous. Although the American system of higher education is known as the world’s best, it is also frustratingly hidebound and slow to adapt to change. Yet change is imperative for our survival. After leading universities for more than 30 years, one thing is absolutely clear to me: We must control our own agenda, and we cannot do so without a firm financial foundation. We need new revenue from new sources to carry out our historic purposes. And we need to focus our efforts on our core comparative advantages in teaching and knowledge creation, activities that are central to the missions of psychology departments and other academic units. This spring, we celebrated commencement with more than 10,000 new graduates. They came from throughout Ohio, across the United States, and nearly 100 countries around the world. Regardless of the place they call home, they came to the university believing in the power and promise of higher education. Ohio State is the front door to the American Dream. I cannot — I will not — allow that door of opportunity to close. I agree that public universities need to adapt to the withdrawal of state funds for their operation. However, we shouldn’t pretend that what we are doing is other than tax/burden shifting. I prefer the more straightforward (and honest) approach of increasing tuition fees, allowing students to make easier comparisons about university attendance costs and (perceived) benefits. I would rather not see universities, public or private, adopt the airline approach of obfuscating flying costs by a “nickle and dime” approach to revenue generation from customers. As to the business of courting private companies with “affinity” contracts, I’m reminded of the story told about George Bernard Shaw, who was seated next to a very attractive actress at a dinner. He asked her, would you sleep with me for a million pounds. She said, “of course!” Shaw then asked her if she would sleep with him for 5 pounds. She replied indignantly: “Do you think I’m a common prostitute?” Shaw replied, “We’ve already established what you are, now all we are doing is dickering about price.” As long as universities clearly recognize what we are doing in creative revenue generation, we can have an intelligent discussion about the price we may be paying. 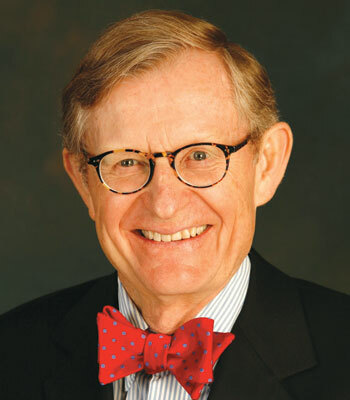 E. Gordon Gee is President of The Ohio State University. He has also led Vanderbilt University, Brown University, the University of Colorado, and West Virginia University.